The Bronx Defenders recently put out a report on the use of solitary confinement at Rikers Island amid a growing number of reports of violence, abuse and mismanagement at the facility. 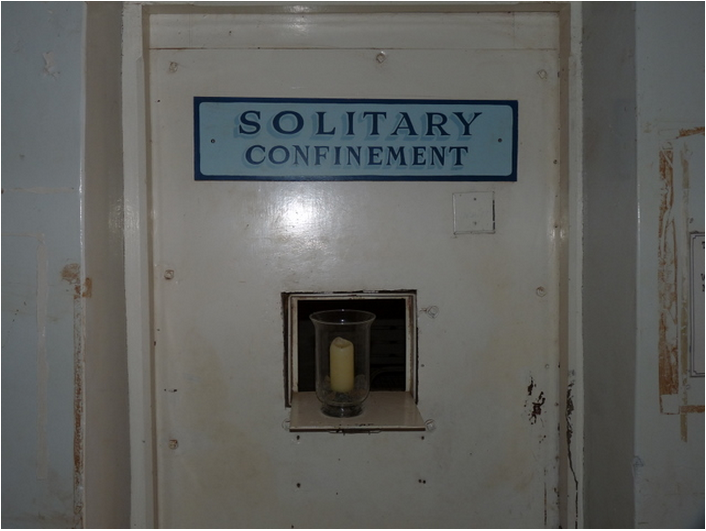 The study, titled Voices from the Box (PDF), surveyed 59 inmates between July 2013 and August 2014 and it confirms the horrifying and widespread use of solitary confinement against adolescent and mentally ill inmates. Researchers found that half of Rikers prisoners in solitary were between the ages of 16 and 20, and 20% of them were teenagers. They also found that 72% of inmates in solitary were diagnosed with mental health issues, and “received grossly inadequate treatment” during isolation. The United Nations believes that anything over a generous 15 days in isolation is tantamount to torture, yet the median number of days in confinement spent by Rikers inmates was 90. Many inmates spent over 23 hours a day in their cell. We are creating criminals by putting kids in the middle of this situation. Research to show that most young people grow out of their delinquency with time, and that incarceration increases their likelihood of reoffending. The trauma of punitive isolation can have lasting negative effects on young peoples’ health and development. Approximately one third of those admitted to the jail in New York City (NYC) receive care for mental health services during their incarceration, a proportion that has been increasing over time. Inmates who harm themselves become patients in the mental health service. Those who harm themselves while in solitary confinement may be diverted from that punitive setting to a therapeutic setting outside solitary confinement, which may provide an incentive for self-harm. Prolonged segregation — and the neglect and lack of relationships that come with it — is completely counterproductive to rehabilitating these individuals. It initiates an endless cycle of trauma and abuse that worsens the mental and physical health of prisoners to an extreme degree. This is only the umpteenth report of its kind to come out in the last few years, but now the federal government is seriously considering taking legal action at Rikers Island, there’s a chance it could have a greater impact. Whether or not that happens, the real question is whether merely tinkering with the prison will actually make things any better.